In this sunny state of ours there are so many talented singers to hire for your wedding day – which can make it a daunting task! 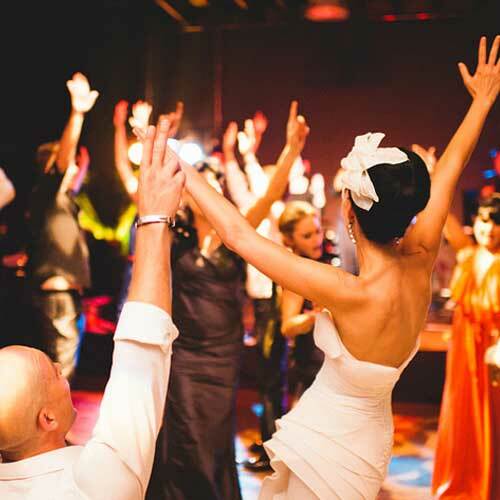 Making sure your guests have the night of their lives means the wedding entertainment needs to be great, and if you’ve decided on hiring a wedding singer there are a few things you can do to make sure of that. Here we’ve written up our best tips on finding the right fit for your day. Do you want someone to sing your favourite love ballads? Some classic jazz songs? The top 20 hits? Do you want an acoustic wedding singer or something with a little more oomph? 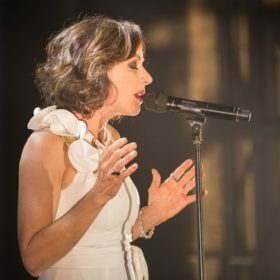 While some wedding singers are multitalented and can mould their voices to a number of different styles, many have a distinct style or genre that suits them best. So your first step is to decide on the type of songs that you want to feature at your wedding. Once a trend in the style of those songs emerges, you’ll know exactly what you need to find. Hiring a wedding ceremony singer and a wedding reception singer are two very different things, so have a think about which one you’d prefer to have a singer for. That being said, there’s no reason why you can’t have a singer for both! But as we wrote above, most singers suit a specific style and we’re guessing the type of music you want at your ceremony will be quite different to what you want at your reception. Perhaps you want a ceremony singer for some romantic songs while you walk down the aisle and a DJ for your reception, or maybe something instrumental like a string quartet for your reception and a singer with a back-up band to belt out some dance-worthy tunes after dinner. The choice is yours! One Singer or the Whole Shebang? The next step is deciding whether you just want a solo singer or whether you’d prefer a duo, a group of performers, a back-up band – the list goes on! While you may be sure of your decision to have a singer, make sure you keep in mind all of the options that come along with that decision! For example, there are some wonderful acoustic duos in Brisbane and the surrounding areas that can provide a very natural, warm and romantic feel to an event. 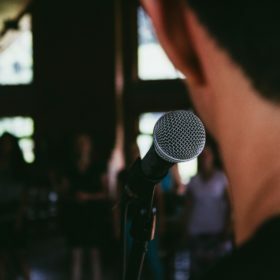 Queensland has too many talented wedding singers to count, and while some artists are happy to travel a few hours for a wedding, it’s worth having a look at what Sunshine Coast wedding singers are available compared to Gold Coast wedding singers or Brisbane wedding musicians, and so forth. Knowing what singers are available to travel to the location of your wedding, and on the right date will help to narrow down your options and make your decision somewhat easier. This one might seem a little obvious, but it’s very important. Before you make your final decision, be sure to have a look at the online presence of the wedding singers you’re choosing between. Do they have great reviews on Google? Their Facebook page? Are there any videos on YouTube of them absolutely nailing a wedding performance? Generally speaking, great wedding singers will be visible online and they’ll have plenty of positive testimonials to back up their talent. The best way to ensure you have a seamless experience with a talented and professional singer is to hire through a booking agency. 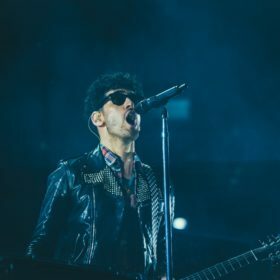 If it’s a good one, their line-up of singers will know exactly what they’re doing, and you won’t have to worry about the possibility of being disappointed. If there’s one day in your life when you’ll want to have a little less stress on your plate it’s this one! Whatever decision you make regarding wedding entertainment in Brisbane or the surrounding areas, please feel free to get in touch with us if you’d like some advice. We’re more than happy to give you a hand on deciding exactly which singer would be best for you and your partner.